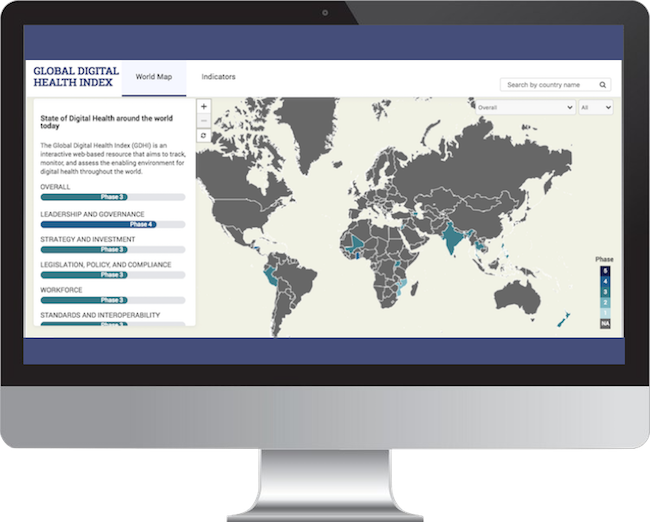 The Global Digital Health Index is an interactive digital resource that tracks, monitors, and evaluates the use of digital technology for health across countries. Integrating technologies such as mobile phones, tablets, remote patient monitoring devices, and sensors into health systems can save lives, extend the reach of healthcare services, and reduce healthcare costs – yet many countries face persistent challenges in implementing sustainable digital health solutions at scale. In early 2016, HealthEnabled and the Global Development Incubator (GDI) partnered with Dalberg’s Design Impact Group (DIG), ThoughtWorks, and representatives from 20+ countries and 50+ international agencies and organizations to design the Global Digital Health Index (GDHI), a tool to help countries benchmark and monitor their investments in digital health over time. Using the World Health Organization (WHO) and International Telecommunications Union (ITU) eHealth Strategy Toolkit, the GDHI is an interactive digital resource that tracks, monitors, and evaluates the use of digital technology for health across countries. To explore our co-creation process, take a look at the workshop reports from convenings in Cape Town and Bellagio. EMPOWER: The GDHI provides visibility into the status and historical progression of key digital health performance indicators at a national and global level. It empowers health ministries, funders, policy makers, and industry players to make intelligent and informed strategic decisions about how and where to allocate resources. EVALUATE: The GDHI benchmarks countries against standardized digital health criteria. It assesses the presence and quality of national policies and strategies, investment risks, and coverage of key digital health platforms while providing countries with a roadmap for maturing over time. MOTIVATE: The GDHI helps countries track progress and identify weaknesses within their digital health initiatives. It incentivizes improvements in national digital health systems and more targeted investments globally. The GDHI helps facilitate the strategic use of digital health to accelerate and monitor the achievement of Sustainable Development Goal 3: Ensure healthy lives and wellbeing for all at all ages, through enhanced data use and visibility into health systems. The GDHI is co-facilitated by HealthEnabled, a digital health nonprofit, and the Global Development Incubator (GDI), an organization that builds social impact startups and partnerships. ThoughtWorks is the technology partner developing the web-based Index. Dalberg Design is the design partner for the Index. In addition to our team and funders, GDHI is pleased to count several global organizations as partners, including the Asian Development Bank, Asia eHealth Information Network, Commonwealth Medical Organization, EMPHNET, International Development Research Centre, International Society for Telemedicine and eHealth, International Telecommunications Union, Johns Hopkins Bloomberg School of Public Health, PATH, USAID, UNICEF, and the World Health Organization. The following countries contributed data to Version 1.0 of the GDHI platform: Bangladesh, Benin, Jordan, Malaysia, Mali, Mongolia, New Zealand, Nigeria, the Philippines and Sri Lanka.  The following countries contributed data to the prototype version of the GDHI platform: Ghana, India, Jordan, Mali, Mozambique, New Zealand, Peru, Philippines, South Africa, Sri Lanka, Tanzania, Thailand and Uganda.